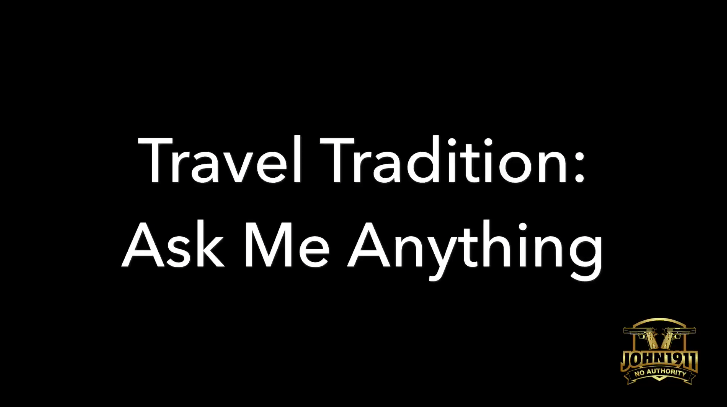 I have collected a bunch of your questions and sat down to answer them. It’s a great way to keep up with our content schedule while traveling. What’s the worst gun you have owned? Do you have any info on the CMP 1911’s? What do you think of 10mm? 1911 extractors: external or internal? What lube do you recommend? What’s going on with the range purchase? Are shotguns still good for home defense? Do you think a 223 trainer of your sniper rifle is a good investment? Looking at old photos. Did you own a FN SPRa3g? Do you still shoot it? Do you like it? Is the SP1 project also dead? Carry knife: folder vs fixed? What do you carry? Will you get a VP9sk? Aftermarket sights for Glock / HK? What do you think of RED DOT sights on pistols? Why don’t you like Glock? FN 5.7: Yay or Ney? Pocket snubby? 38 or 357? Do you have any experience with The Gadget? You like the VP9. Does that mean you like the P30? I have the funds for a bolt gun. But I found a Tikka at nearly the same price as a Remington. Which? What it be better to carry a bunch of extra mags a back up gun or neither if you felt like you were in more risky area still carrying concealed. What do you think of the 300 blackout A.R. as an all-around versatility/utility firearm. I live in Maine So 400 yards is a very long open shot here. What do you think of the Ruger ARX ammo? Also what is your favorite 9mm defensive and Why? I’m getting a VP nine LE soon. How long before Trump fires Mueller and his band of backstabbing Warriors? What factors do you consider for the ideal truck on? Cost? Caliber? Wait? Is your PTR 91 what you consider ideal or is it like your scar 16 where do use it because it is what you have?